Then, as I hit my mid twenties, my love of theology and the Bible along with my inquisitive nature led me back into the evolution debate. I have always had a lot of anxieties, doubts, and questions when it came to faith. Because of this inner skeptic, a friend recommended that I listen to Greg Boyd's teaching series on faith and doubt. In one of his sermons, titled “Toppling the House of Cards”, he spoke of how our faith is unnecessarily fragile if it is tied to all kinds of rigid doctrines and interpretations of the Bible that can't be questioned and scrutinized. He spoke of the need to tie our faith to the person of Jesus, making a relational commitment of trust to him, and not to tie our faith to our feelings of psychological certainty. This teaching gave some real strength to my faith which had felt constantly weakened by doubt. It gave me a greater boldness to live in intellectual honesty and to not fear asking the hard questions and exploring the evidence. When I think of my faith being tied to Jesus, I think of how a rock climber anchors himself to the cliff. Being tied to Jesus gives me the mobility and freedom to explore—while also giving me a deep sense of security and rootedness. With this newfound freedom I felt more at peace with my inclination to question and rethink the assumptions I'd inherited, including my beliefs about our origins. I started considering the topic of evolution from more of a theological point of view—I didn't see myself as a science lover anyways, remember? I listened to podcasts and sermons and read books and articles on how to interpret the beginning chapters of Genesis. 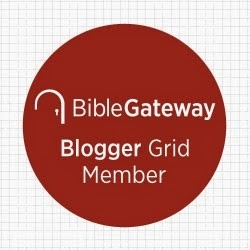 I became aware of the BioLogos website and visited it frequently. It didn't take long for me to come to the conclusion that a literal historical reading of the creation story was unnecessary. When I saw that biological evolution was not a threat to orthodox Christianity, I started to ask if the science behind it was also legitimate. I read more from BioLogos and other sites, talked with friends who accepted natural selection, and ultimately came to the conclusion that the theory of evolution was quite credible. The result of this exploration was a new awe of God's creation. Both my sense of fascination with nature and my drive to worship its Creator multiplied. I was, and still am, captivated by the idea that God created and used natural processes to develop this amazing world. It's as if he gave creation an element of participation in its own unfolding, which seems to me to be deeply compatible with how we see him work throughout the Bible and in the Church. I now consider science among one of my favorite topics. Looking back at my educational experiences, I realize that the adults in my life believed they were doing the right thing by teaching what they did. They genuinely saw evolution as false and as a threat to Christian faith. One of my hopes now is to help nurture an environment in the Church where people can explore both the Bible and science with freedom, curiosity, and intellectual honesty. I want to see our faith tied to Jesus, not to an unstable stack of fragile doctrines. I'm convinced that the Body of Christ will be freer and more vibrant if we engage apparent challenges with courage, wisdom, and trust in the God from whom all truth comes.